It’s back and it’s bigger and better than ever. The Rocky franchise returns with Creed II and delivers one of the best outings in the franchise. Brutal, emotional, exciting and engaging, Steven Caple Jr. has surpassed all expectations with his first Hollywood Feature which makes it only more exciting to see what he is going to do next. Directing only his second feature, Steven Caple Jr. leaves behind his indie background for the Hollywood blockbuster and doesn’t disappoint. Bringing an intimacy between the characters that is sometimes lacking in modern day Hollywood that results in an utterly engaging plot that, whilst familiar, doesn’t feel tired. The Rocky franchise has had its share of ups and downs but writers Sylvester Stallone and Jule Taylor manage to bring enough emotion to the tale that, even though we’ve seen it before, it still feels exciting and fresh. 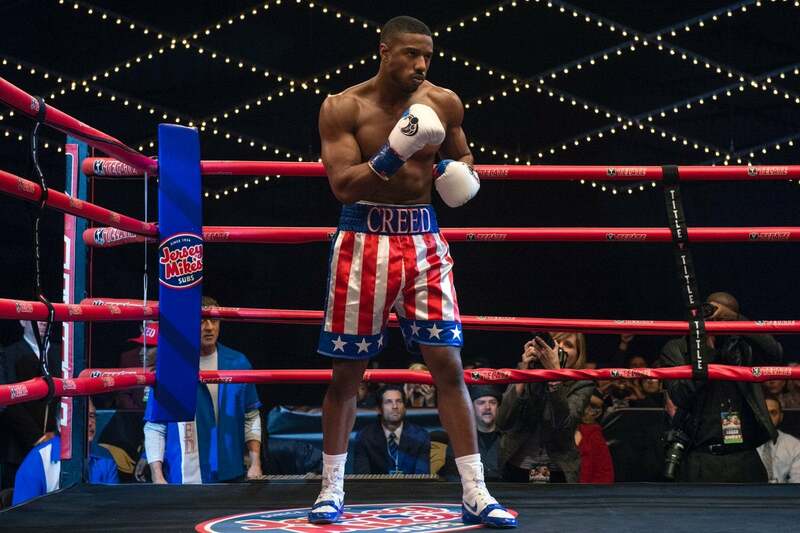 Following the events of the first film, Adonis Creed has made a name for himself on the World stage of boxing. Having done enough to stand out he is publicly challenged by the son of Ivan Drago (Rocky’s opponent in Rocky IV (1985, Sylvester Stallone)) Viktor Drago. Desperate to avenge the death of his Father, Creed takes the fight with a man who stands above him. A true David and Goliath story the film feels quintessentially Rocky. What separates Creed II from being just another film in the franchise is Viktor’s plight. Much of the film is told from Viktor’s side as he tries to regain the family honour that his father lost during the events of Rocky IV. Both combatants have more than just personal reasons for needing to win that fight, which makes the resulting engagement completely enthralling. The training montages, personal moments and fights themselves are that much more visceral because everyone involved has utterly believable reasons for their being there. This is helped of course by the excellent performances all round by the cast with the stand out stars being Sylvester Stallone and Michael B. Jordan who play Rocky and Adonis respectively. At this point Stallone could play Rocky in his sleep and still probably pull out one of the best performances of the year. Rocky’s arc is incredibly emotional and he feels much more than just a side character, but an integral part of the story. It’s quite amazing to see how far the character as come since the original 1976 film and even more amazing that he still has plenty of developing to do. Michael B. Jordan on the other hand pulls off the prideful fury of Adonis Creed just as spectacularly as he did in the first. Having the added weight of responsibility of a child gives an emotional tension to Adonis’ story considering the fate of his father and Jordan pulls it off with gritty realism that is sometimes hard to watch but is always engaging. It’s not surprising given Jordan’s current form in cinema and it is fantastic to see the two have such great chemistry on screen. Honourable mention also goes to Dolph Lundgren who plays the disgraced father trying to turn his son into something more than he was. Ivan and Viktor’s relationship is believable and has its own emotional weight to it that at times, has you rooting for the villain. It’s fantastic to see protagonist and antagonist done so well that at times you’re not sure which is which and you’ll definitely be feeling for the loser by the time the credits roll. Visually the film is rather outstanding, bringing back the brutal slow motion and bone crunching close ups, each hit feels like it would hurt which can make the fights difficult to stomach but you definitely won’t be able to take your eyes off the action. Coupling this with the astoundingly good soundtrack creates an atmosphere that draws you in emotionally and holds you there right to the end. There’s more than one what might come to be considered iconic moments that are worthy of the Rocky franchise where the visuals and the music come together in just the right way at the right time to bring tears to the eyes of even the most reserved members of the audience. It is a fantastic achievement on the part of Steven Caple Jr. to give these characters more layers than we previously thought they had on his first major Hollywood outing. Each character is given a significant emotional tie to the outcome of the plot whilst each actor is directed in such a way that makes the performance believable and heartfelt. It is clear that Caple Jr. managed to get the whole crew to put their hearts and souls into this project and it is great to see. It is unclear where the Rocky franchise could go from here, if it is to go anywhere at all, but one thing is for sure; whatever comes next will have a hell of an act to follow in Creed II.